The San Carlos is one of Florida’s most beautiful and historic landmarks. It was founded in 1871 by Cuban exiles of Key West as an educational, civic, and patriotic center. The San Carlos is a multi-purpose facility that serves as a museum, library, art gallery, theater, and school. Located in the heart of Key West’s historic district, the San Carlos is considered to be the cradle of Cuba’s independence movement. It was at the San Carlos that José Martí united the exile community in 1892 to launch the final phase of his campaign for Cuba’s independence. Martí so loved the San Carlos that he called it “La Casa Cuba”. 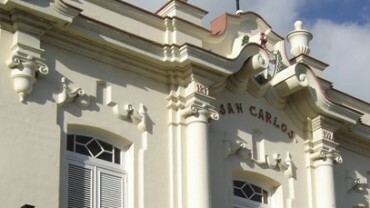 The San Carlos is open to visitors and hosts many events during the year.